Our Under 16’s played their first challenge match yesterday evening against Newtownstewart in Castlederg. 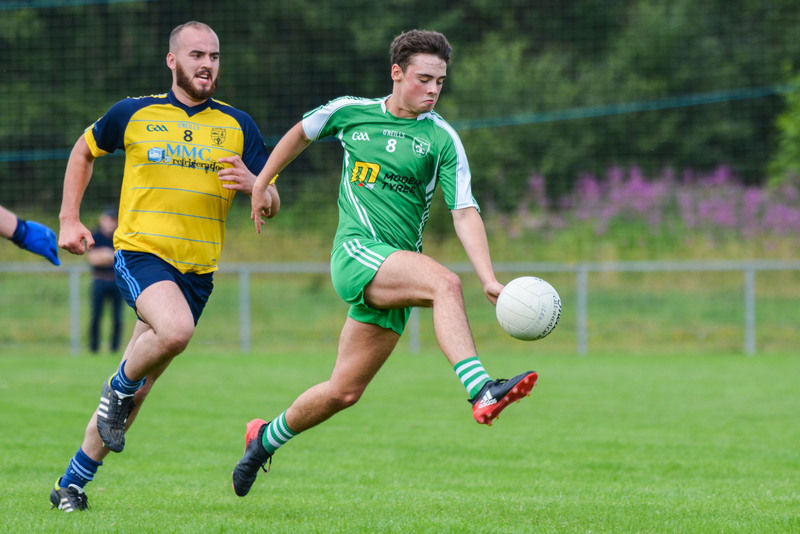 The Sarsfields were missing several players however the game presented a good opportunity for many of the lads to get game time before the commencement of the league at the end of the month. Newtownstewart made the better start to the game as they hit several quick scores. Kian Murphy and Stephen Coyle responded for Drumragh while good work in defence from Mark Armstrong, Patrick Stewart and Adam Brophy cut out several opposition attacks. Newtown added further scores to their total before Eoin Montgomery and Daniel O’Neill closed the half with points for the Sarsfields. The second half saw a much improved performance from Drumragh. Kian Murphy and Oran McElroy slotted home goals early in the half; both the result of good interplay and running from the Sarsfields. Eoin Montgomery and Mark McGillion worked well in midfield while Paul Devine in goals made some fine saves throughout the game. The defensive unit worked hard against a strong Newtownstewart team with Conor Kelly, Dylan McNamee, Ben Monk and Daniel O’Neill all setting up further attacks from positive turnovers. Dylan Taggart and Stephen Coyle slotted home additional scores for Drumragh towards the end of the half following good support play from Ciaran Lynn, Patrick Stewart and Mark McGillion.